Please find bellow the REA Supporting Documents. We are very pleased to inform you that we were successful with our bid and, on March 10, 2016, we have been awarded a contract by the IESO for 10 MW a/c to build the Barlow Solar Energy Centre in the Township of South Stormont and the City of Cornwall. 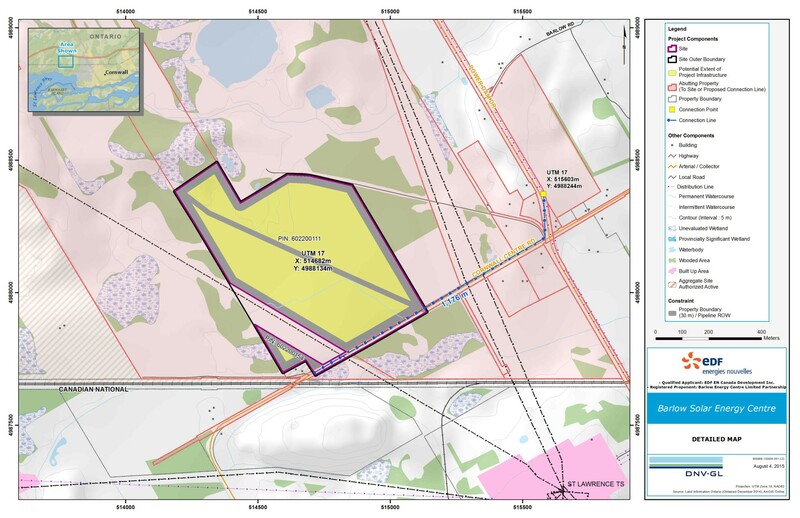 The projec is situated on up to two parcels of privately owned land located within the Township of South Stormont with a total area of approximately 100 acres. Comprised of photovoltaic panels with a contract capacity of 10 MWac, the project anticipates to connect to the existing distribution line along Power Dam Drive by utilizing road right of ways within the City of Cornwall and the Township of South Stormont. The proposed connection point is located about 600 metres east of the site. A Community Benefit Agreement with the Township of South Stormont that will contribute funds on an annual basis (estimated to be $480,000 over the twenty year life of the project). Additional property tax revenue earned by the Township of South Stormont, county and local school board (estimated to be $200,000 over the twenty year life of the project). Nearly one hundred (100) construction jobs at the peak of construction. The procurement of local services, contractors and materials for project construction (i.e. aggregate, excavation, etc.). Possible creation of a locally based full time position to support and service the facility during the operating period, and opportunities for local contractors to provide services such as landscaping and maintenance. If you have questions, comments or any interest in the Project, please contact the project developer at any time. 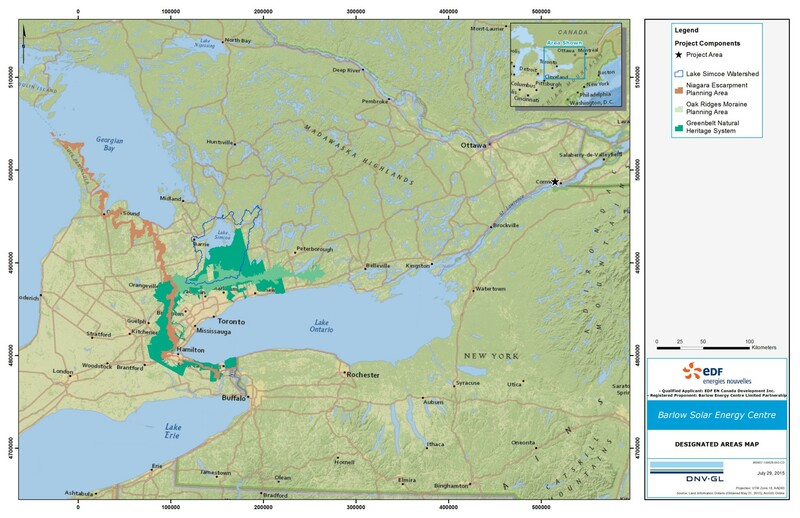 The Site Considerations Maps and Report indicate Project features such as the Site boundaries, proposed Connection Point as well as local and provincial features including natural heritage, infrastructure, administrative boundaries, etc. A detailed list of the main Site Considerations Information presented on the maps follows. Please note that the exact final locations of Project infrastructure are not defined with precision at this time and will be determined via public consultation, and as Project area studies are completed. Technical and environmental studies help us better understand and minimize potential impacts on the community, the environment, cultural heritage, archaeology and other design considerations.